Veterans Legal Advocates, P.A. offers veterans’ legal representation in Florida to current and former members of the armed forces and their family members. The owner is a veteran and an experienced member of JAG (the Judge Advocate General’s Corps). As a legal advocate for veterans, the unique circumstances and needs of veterans are understood, and are dedicated to doing everything to ensure you are given fair and equal treatment under the law. While services for VA disability claims appeals, VA debt overpayment disputes, discharge upgrades and records corrections are available nationwide, additional services to Veterans, including general legal assistance for civil and criminal matters, business consulting, military justice, and more is offered. Choosing the right attorney for your veterans’ legal assistance is easy when you turn to Veterans Legal Advocates, P.A. To schedule a consultation, complete the form below with your name, contact information, and brief outline of the issue. A confirmation will appear after you click "Submit." A Veterans Legal Advocates, P.A. representative will then contact you to discuss your consultation request. We look forward to working with you! Returning home from military service with a disability can be a harrowing prospect for any veteran. It’s even worse when you’re not properly provided for or compensated by the VA, and that’s where veterans’ legal assistance comes into play for you. Whether you return with aggravated existing conditions, PTSD, or a physical injury, you need aggressive representative who understands the specific process and complexities of military disability benefits. If in the line of duty you receive injuries, aggravation to existing conditions, or experience mental trauma such as Post Traumatic Stress Disorder (PTSD) or Military Sexual Trauma (MST) and are being denied service connection or an increase in your just compensation by the VA, our legal advocate for veterans can assist you through the difficult process of challenging your veterans disability claim appeal. Your military service history will follow you for the rest of your life. Ensuring that it accurately and positively represents your time in service is of the utmost importance to your future and ongoing prosperity. If you need assistance ensuring the fairness of your discharge the veterans advocate can argue discharge characterization of service upgrades and military record corrections to make sure you are not a victim of unfair practices or human error. The Veterans legal advocate job is to ensure that the US military is following its own laws, rules, and regulations regarding discharge statuses and characterization, both of which can greatly affect a veterans’ ability to find fulfilling civilian work. In a similar vein, you may decide that the military should be your career. To do this, most military personnel must pass mental and physical fitness evaluations by the Medical and Physical Evaluation Boards. If it is determined that you are unfit for duty, you may not be allowed to serve in the military anymore. Help for you to dispute these findings and fight for your right to remain in the military or get the disability rating that suits you accurately is available. Our legal advocate for veterans helps you during the MEB and PEB processes which may prevent you from staying in the service. When you need to speak to a legal advocate for veterans, legal assistance for clients is available throughout Florida. 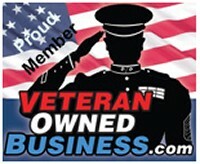 Providing Training For Those Who Represent Americas Veterans and Their Dependents Since 1993.